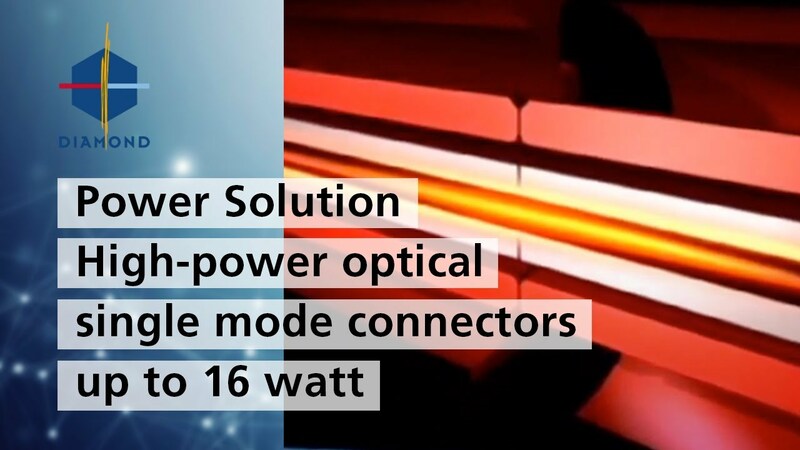 Diamond PS connector systems are designed for high power applications up to 6 Watts optical power for SM fibers. These have been developed to support the continuous rise of higher bitrates and longer transmission distances within DWDM technology. Diamond PS connectors are based on contacted expanded beam technology; where a section of graded index fiber is spliced as a collimating lens, which enlarges the beam diameter and reduces power density at the connector interface.Using Diamond Active Core Alignment (ACA) technology, we can achieve unrivaled low IL performance for the PS technology by aligning the fiber exit angle instead of the core eccentricity as Diamond usually does on SM fiber. This technology is applicable to most connectors interfaces, but due to safety issues Diamond suggests to use it on E-2000™ and F-3000™ connectors with integrated metal protection caps and shutters. All of the features, users have come to expect from the E-2000™, F-3000™ and DMI family, are available on the PS version.